← Sports Fan? Why Not A Sports Wedding? 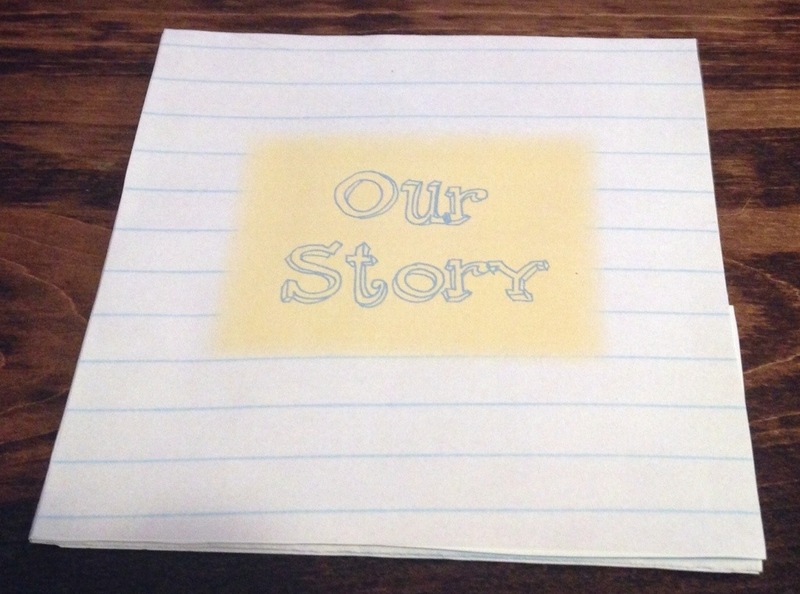 I went to Kinkos to print out a prototype of the super complicated invitations. They were really great to work with and listened to what I wanted. I am really glad I printed it all out, I actually needed to correct some mistakes. The biggest problem is that the glue stick I’m using is inferior. I really need to find a glue (in stick form so there are no globs) that won’t fall apart immediately. Does anyone have any suggestions? So after I pieced it all together, which probably took about five minutes, here is the end result! Other than the glue situation I love the way they came out! Now I don’t want to mislead you, but it seems that printing my own invitations is not nearly as cheap as I thought it was going to be. 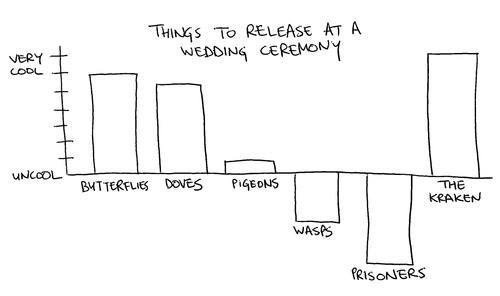 Take into account, though, that I made my invitations ridiculously complicated. I sort of dug my own hole. 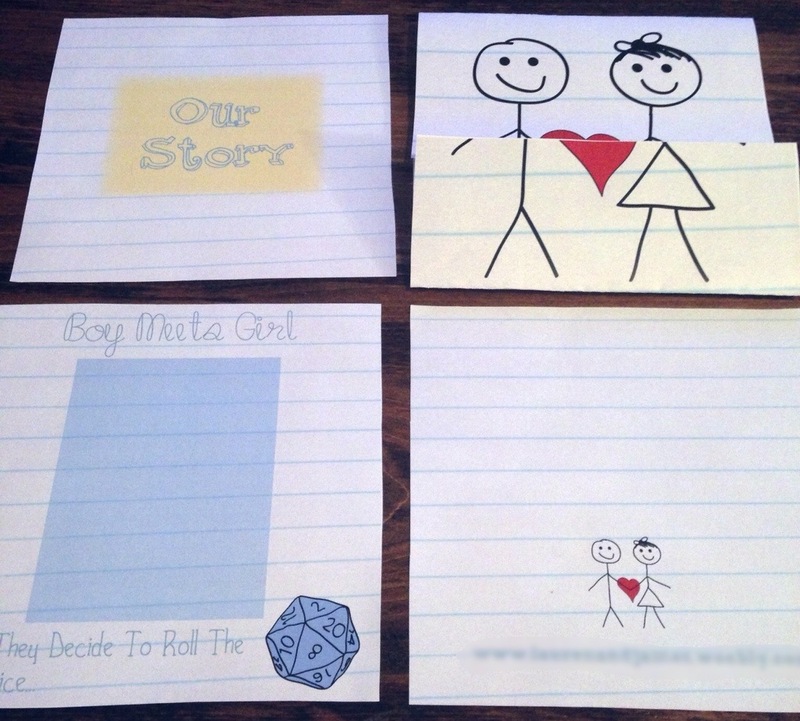 If you make really simple invitations the printing cost should be fairly low, and they would still be your own design. So, points to everyone who releases the kraken on their wedding day, and if anyone has the solution to my glue-stick debacle, it would be so helpful! I loved that chart at the top. It looks here like you have parts that need to be removable.. So what about rubber cement? 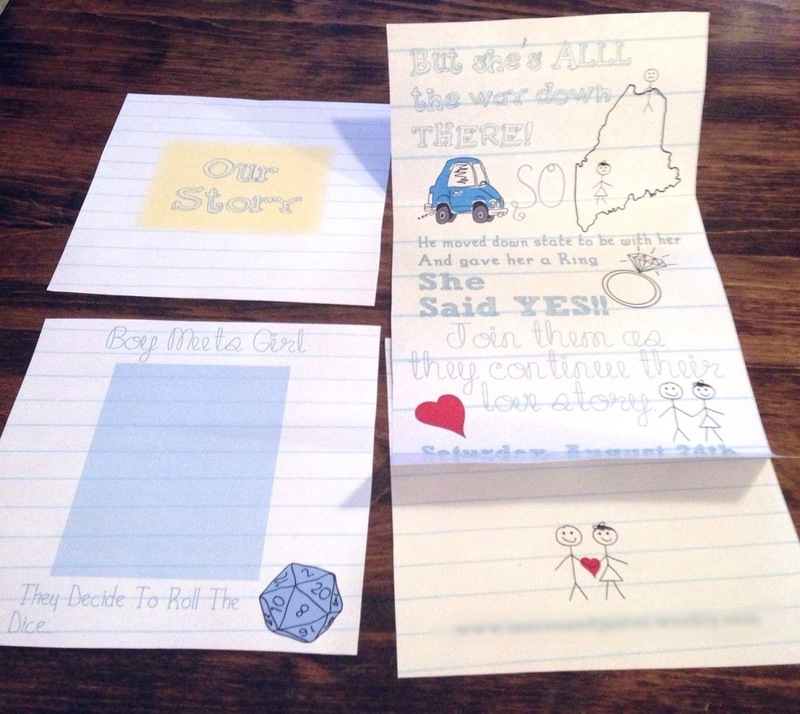 oh, and great wedding invitations! Congrats! Sounds like it will be a fun wedding! You should use spray adhesive! It’s great at evenly distributing the glue, and it’s plenty strong. Just make sure you leave some windows open! 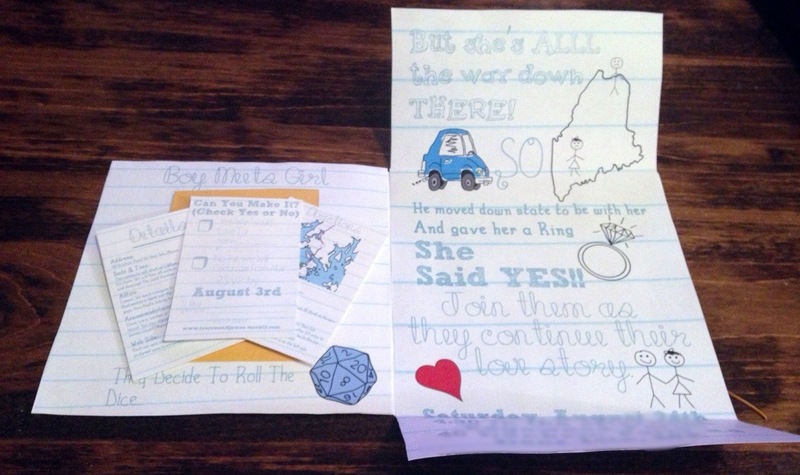 This has to be the coolest wedding invite I have ever seen! So fun and creative. Man I’m glad our found your blog when I did. Now I get to watch all this come together!